Is Buying a New Car Better Than Buying a Used Car? Buying a brand-new car is undeniably exciting, but is it right for you? The sad reality is that brand-new cars keep getting more and more expensive, pricing millions of Americans out of the new-car market. As sleek as the latest sports car or must-have SUV is, the average price has been shown to be well beyond the budget of even median-income households. The used car market, on the other hand, is filled with thousands of models in excellent condition and all at much lower prices than the new models. With cheaper alternatives readily available, why would you choose to pay so much for a brand-new vehicle? Below, we’ll look at the differences between buying new and used cars, and why investing in a used car can ultimately be the better choice. The main advantage of buying a new car is the advanced features you’ll get to enjoy. Cutting-edge touches will help to make your shiny, factory-fresh vehicle feel even more indulgent and luxurious. However, unless it has a direct effect on your driving experience and helps you to drive more safely, many of these advanced technological features are inessential. We live in an age where tiny upgrades and updates can still justify high costs for consumers across the globe. New smartphones are released within a short period of their predecessors, and buyers still spend hundreds of dollars despite not getting much more bang for their proverbial buck. The same is true with cars. Those with enough disposable income may choose to upgrade to a new car without anything being wrong with their previous model, simply to enjoy a few new features. Another advantage of new cars is the most obvious: they have never been driven before. There’s less reason to check the condition of any models that catch your eye, though you will still have to give it a thorough examination to make sure it meets all your needs. And new cars will likely need less maintenance within your first couple of years of ownership. However, there are disadvantages to buying a new car too. Excessive prices and depreciation are the most obvious; as mentioned earlier, many Americans simply cannot afford to buy the latest models. New cars will also depreciate in value quickly. The worth of your brand-new vehicle may well drop significantly within the first year of ownership. In fact, the amount you stand to receive at resale can dip as soon as you drive away from the lot. That’s obviously a major issue if you plan to get a year or two of usage from your new car and then sell it for a newer model. You want to get as much money back as possible, but sadly you will usually end up with far less than you might expect. Furthermore, new cars can bring higher tax and insurance rates, costing you more beyond its actual price. You need to consider this before you invest and make sure you can actually afford those related expenses. First and foremost regarding buying used is much more of an affordable purchase price; simply put, used cars are far cheaper than new ones. This is a fantastic benefit for buyers on a tight budget, as millions of Americans are. When you have financial responsibilities (rent, food and clothing for you and your family) finding tens of thousands of dollars for the latest car is completely out of the question. At a reputable used car dealership, you can browse a diverse selection of models with something for everyone. You may be able to find vintage cars as well as those from only a few years ago, without the hefty price tags. Used cars are cheaper to insure too. This makes a big difference to the overall cost of buying a used car, saving you even more money compared to the much higher price of a brand-new model. Securing the financing to pay for a used car is often much simpler than trying to get a loan for a brand new one. A reliable used car dealership like Eden Autos offers wide-ranging in-house financial services, helping countless customers secure auto loans that match their budgets, including buyers with low credit scores. As you may know, trying to get a loan from a bank or other lender for your new car can be incredibly difficult if you have a bad credit history. Visiting a dealership that provides in-house financing assistance for all credit types will help you get a loan approval for the vehicle that’s the right choice for your needs. Another major benefit of buying a used car instead of a new one is that you avoid any potential product recalls, which happens with brand new cars from time to time. In one year, millions of vehicles were recalled for a major issues by several of the leading car manufacturers, including Honda, General Motor, Toyota, and Ford; even BMW and Mercedes. You may assume that new car is in perfect working condition when you buy it, only to have a significant fault be discovered later. Usually, those recall issues have already been taken care of during the first owner’s possession. Used cars, of course, have normally been driven for years already, and their performance has been well-tested. You’re at less risk of experiencing some problem that’s lain dormant and can feel more reassured about the car’s quality. When looking at these benefits, it’s easy to confirm that buying a used car is better than choosing a brand new one. 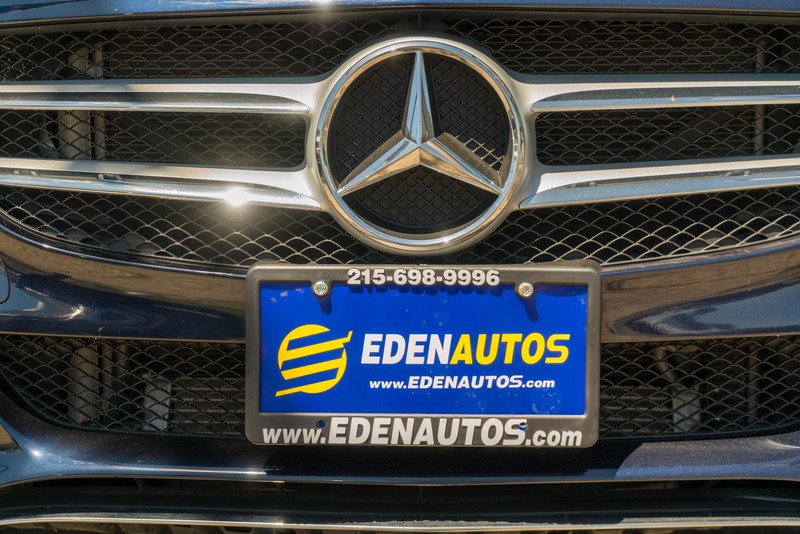 Eden Autos has an extensive collection of pre-owned vehicles to choose from, with financing for all credit types. Want to know more? Drop in or give us a call today and one of our dedicated team members will help you find the perfect car, truck, or SUV to fit your requirements, with financing that’s within your budget.